Sick of McMansions? Too much space on your hands? Time to join the revolution celebrating the antithesis of oversized dwellings: the micro home. Whether you want to live closer to your grandkids, move to your dream city, or purge your home of all unnecessary “stuff” that’s bogging you down, you may want to consider downsizing dramatically to a micro home. While the so-called “tiny house movement” does not employ strict rules of what constitutes a tiny house, most micro homes are under 500 square feet (“small” houses are considered under 1000 square feet). They’re built with the same materials as average-sized homes and built to last just as long as traditional homes! Some micro homes are on wheels, like RVs but more solidly constructed, so you can move it freely around the country on a whim. They’re also excellent starter homes for singles and couples – many micro home suppliers offer modular systems and you can add on as your space needs (and your disposable income) increase! Blogger Jenna chronicles her world travels in her tiny home, sharing the journey with other micro-home dwellers, tips for living in a micro home, and gorgeous pictures from around the world. They may look like hobbit houses, but these modular, eco-friendly house pods – just $41/square foot – can be used in endless configurations anywhere in the world. The high ceilings on these charming cottages – mobile or stable – give an illusion of space while providing a handy sleeping loft. Pale colors and large windows have a similar effect, giving the home an open and airy feel. These homes have to be cleverly designed to incorporate all of the features of a larger home into such a tiny space! The Minim house has everything you could need stashed away where you probably wouldn’t expect it. Check out their site to see their incognito ingenuity! Not sure if you’re ready to commit? Try downsizing to a smaller, but not tiny, home first, or build a tiny house on your existing property to test it out before making the move (if it doesn’t work out, you’ve got a bonus guest house!). Will I actually be saving money? 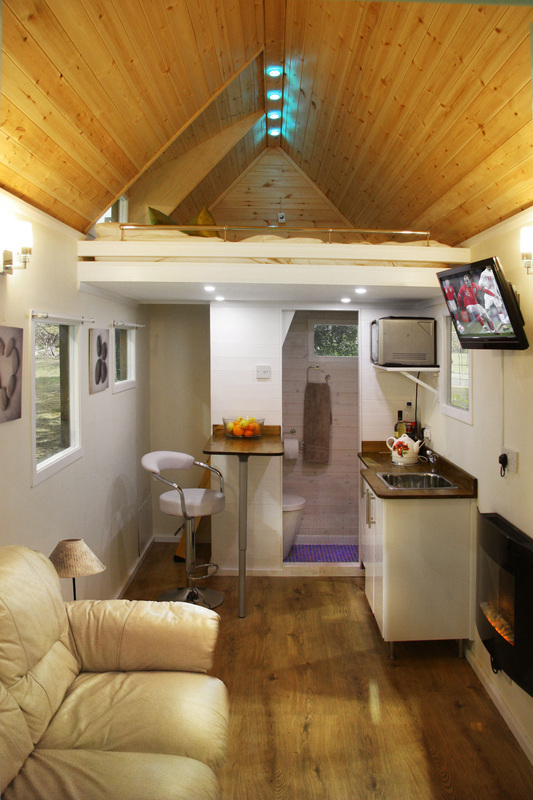 Draw up a realistic budget and talk to people who are living the micro home life; some expenses may surprise you. If you’re ready, go for it – but be sure to come back and tell us all about it!